← Rebedding the standing rigging. 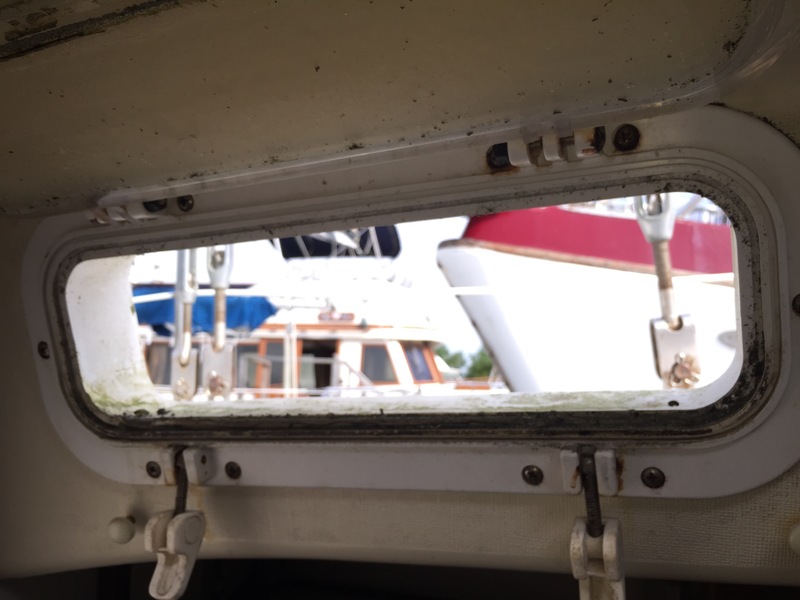 A boat sitting neglected for so many years will leak. This boat has 11 ports and 8 hatches, along with the companion way. 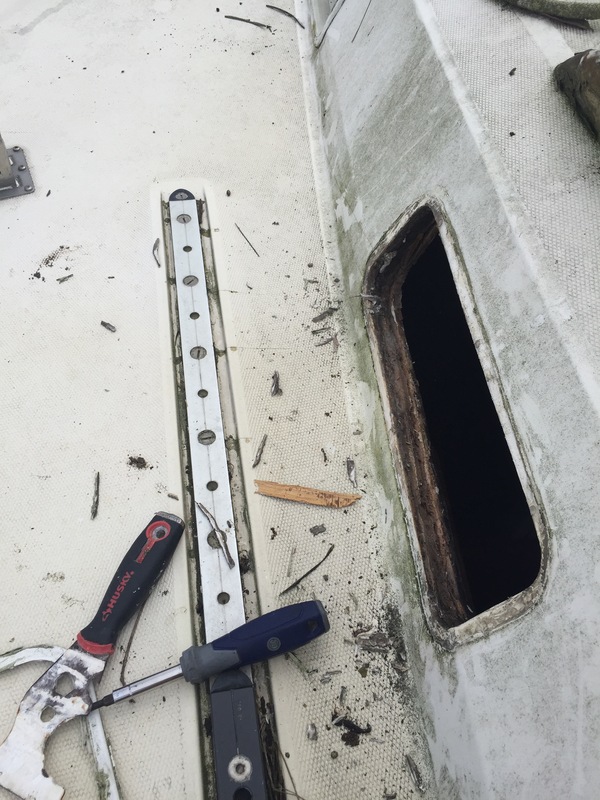 That’s awesome for getting air to move thru the boat, but it takes maintenance to keep water out. The ports Sabre put in are actually pretty cheap plastic. I’d have to admit that I’m not impressed with them. They’ve since changed manufacturers, and have much nicer stainless ones, but I can’t afford the $2,000 or so to change them all out to nicer stainless versions. So I pulled all the seals and cleaned them all up. Every single one leaked and was filthy. I had to soak them overnight to clean them. One port showed leaking from the frame, rather than just broken/bad seals… so I pulled it out to see what I could find. I opened a can of worms. I will admit my solution is temporary, but I will eventually pull every port out to rebed them all. Here you can see the cabin and liner joint. I’m not sure if these voids are ok or not… but it seems like a great place for water to find a secret place to rot something out. I plan on filling these with epoxy eventually, to stop giving any water secret access to hidden places in the case of a leak. This photo shows the condition of the deck prior to my purchase and cleaning. I don’t have any photos taken during the actual process of putting the ports back in, but I stuffed half a roll of butyl in there, around the frame, and on the exterior beauty frame to keep water out. I’ll do better when I rebed the whole lot of them. 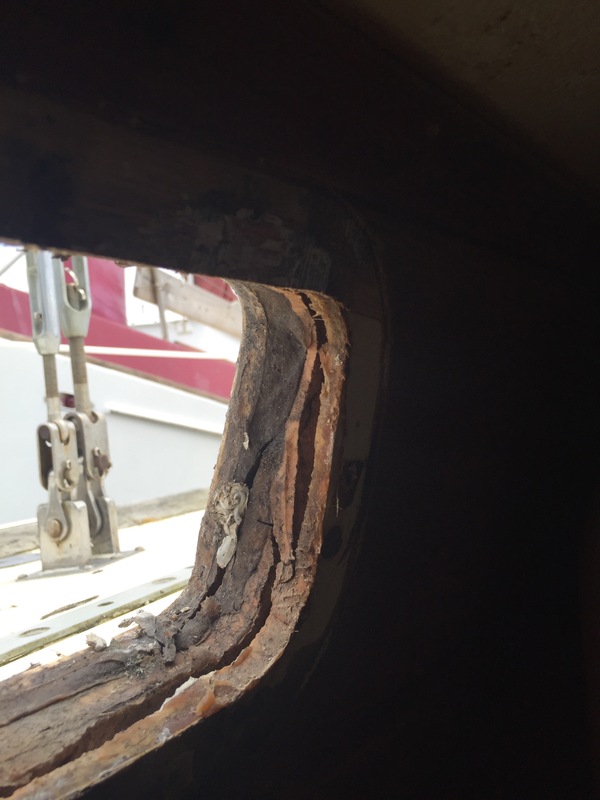 This entry was posted in Deck, Interior, Repair/refit/upgrade. Bookmark the permalink.